What does the Group Rapier Marshal do? The Group Rapier Marshal serves as the primary representative of the Kingdom Rapier Marshal, overseeing all unarmoured combat (Rapier + Cut & Thrust) activities within the group and ensuring that all relevant safety procedures are followed. In Innilgard, oversight of martial activities is split between the Knight Marshal, the Group Rapier Marshal and the Captain of Archers – with the Group Rapier Marshal taking focus on unarmoured combat (Rapier and Cut & Thrust). 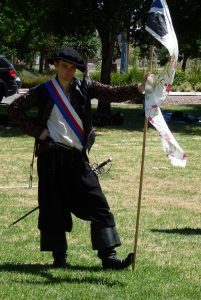 You will generally consult with the Group Rapier Marshal if you are an unarmoured combatant (or want to be) or if you have business with the Marshallete. You will also typically consult with the Group Rapier Marshal if you wish to run an event involving unarmoured combat, or if you wish to become a Marshal yourself.